Blood is a vampires best friend, and there is not a vampire alive that could not use just a little bit more of it. 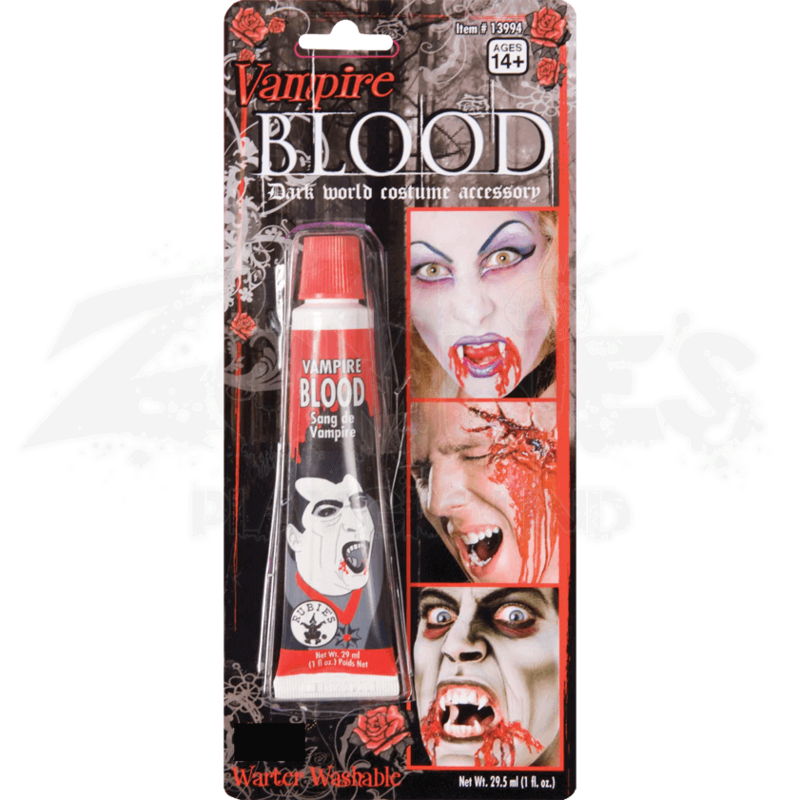 So when you are creating a vampire look, make sure you add a touch of Vampire Blood for that realistic look. There is nothing more terrifying than seeing a fanged horror with fresh blood dripping from its lips. Each package of this fake blood contains 1 fluid ounce of realistic blood that will ooze, smear, and stain just like the real thing. It comes in a simple, re-sealable tube, which ensures that it can be capped and saved for further use, if all of the blood is not used at one time. It is made from ingredients that are safe for use and washable, making it easy to apply and easy to remove. 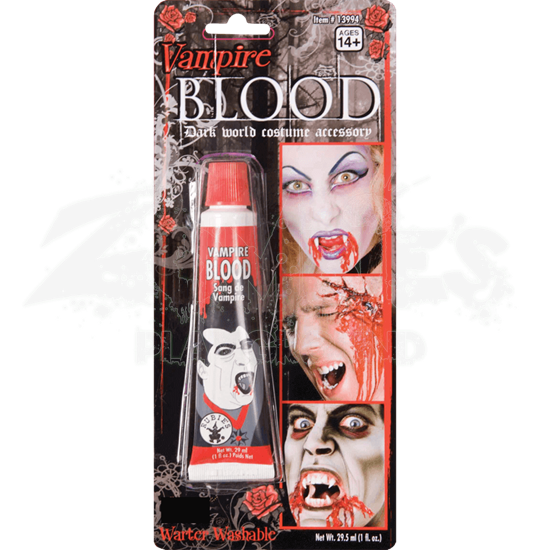 A dab of Vampire Blood is the perfect way to add a touch of morbidity and gruesome detail to virtually any vampire costume, while also helping to make you look like a real predator of the night that happens to have a thirst for blood.